Coney Dogs . . . French Fries . . . Salads . . . Soups . . . Desserts . . . Chili Cheese Fries . . . Beverages . . . Bring the whole family!!! The American Coney Island Hot Dog has been a favorite with Detroiters and visitors for nearly a century. 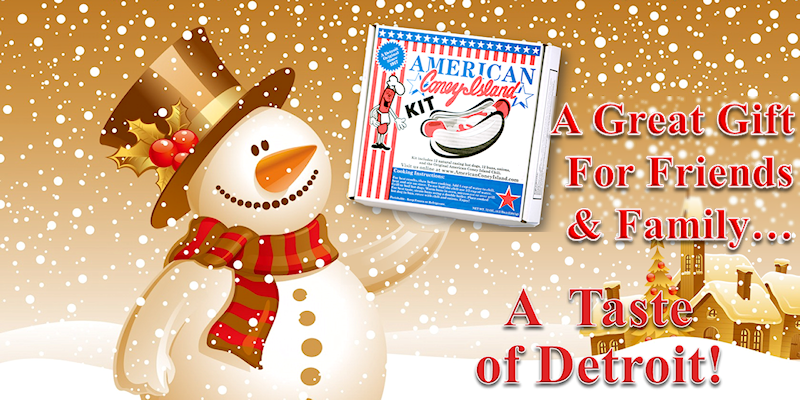 The reasons for the great popularity of the American Coney Island is the high quality, specially-seasoned, natural skin casing hot dog from Dearborn Sausage and our own Keros family secret recipe Coney Island Chili Sauce developed decades ago. Add to that a topping of fine mustard and sweet chopped onions that is the final touch to the distinctive overall taste and flavor of the American Coney Island Hot Dog. Served in a warm steamed bun, it's no wonder the American Coney Island Hot Dog has been such a tantalizing treat that's still hard to beat after all these years!